A deeply personal and revealing Hollywood-survival story. 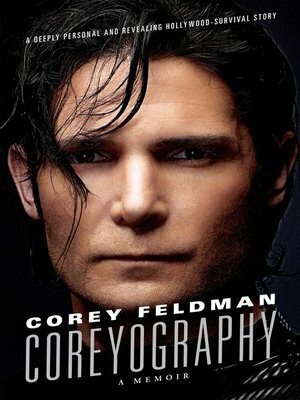 Lovable child star by age ten, international teen idol by fifteen, and to this day a perennial pop-culture staple, Corey Feldman has not only spent the entirety of his life in the spotlight, he's become just as famous for his off-screen exploits as for his roles in such classic films as Gremlins, The Goonies, and Stand by Me. He's been linked to a slew of Hollywood starlets (including Drew Barrymore, Vanessa Marcil, and adult entertainer Ginger Lynn), shared a highly publicized friendship with Michael Jackson, and with his frequent costar Corey Haim enjoyed immeasurable success as one half of the wildly popular duo "The Two Coreys," spawning seven films, a 1-900 number, and "Coreymania" in the process. What child of the eighties didn't have a Corey Feldman poster hanging in her bedroom, or a pile of Tiger Beats stashed in his closet? Now, in this brave and moving memoir, Corey is revealing the truth about what his life was like behind the scenes: His is a past that included physical, drug, and sexual abuse, a dysfunctional family from which he was emancipated at age fifteen, three high-profile arrests for drug possession, a nine-month stint in rehab, and a long, slow crawl back to the top of the box office. While Corey has managed to overcome the traps that ensnared so many other entertainers of his generation—he's still acting, is a touring musician, and is a proud father to his son, Zen—many of those closest to him haven't been so lucky. In the span of one year, he mourned the passing of seven friends and family members, including Corey Haim and Michael Jackson. In the wake of those tragedies, he's spoken publicly about the dark side of fame, lobbied for legislation affording greater protections for children in the entertainment industry, and lifted the lid off of what he calls Hollywood's biggest secret. Coreyography is his surprising account of survival and redemption. COREY FELDMAN is a film and television actor, singer, producer, and father. He lives in Los Angeles, California, with his son, Zen.